Ardennen Camping Bertrix es un camping en Bertrix, Luxemburgo, situado en el bosque. Este camping en terrazas y camping con terreno inclinado tiene plazas con cercos, con sombra, sin sombra y parcelas con algo de sombra. Cabe alquilar tiendas de campaña, caravanas fijas y casas rurales. El camping dispone de parque de recreo, parque de recreo de interior y de terreno de deportes. Este inspector visita cada año al Ardennen Camping Bertrix y lo inspecciona considerando más de 200 servicios y otros aspectos importantes. El inspector es un trabajador de ACSI y no trabaja para el camping. Stayed here for two nights on our way up to Belgium. The sight was full and we struggled to fit the Motorhome in an uneven pitch on the hill side. The site was enpensive as it is summer holidays and was almost full of people from the Netherlands. Non of the information was in English. The pool was too full and the showers and toilets not too clean. The restaurant was full of kids trying to get WiFi connections. Our pitch seemed to be in the way of a football match that young kids were playing. We were not impressed at all but concede that it could be a nice place at a quieter time of the year. Me and my family love this place. The atmosphere is astonishing! The staff are friendly and kind. First time in Luxembourg lovely green country with friendly staff office closed at 5pm so they popped out and said stay where you like and come and see us in the morning. Fabulous pool and toilet facilities would reommmend this site. ¿Desea reservar u obtener más información sobre su Ardennen Camping Bertrix? Puede hacerlo mediante los datos siguientes. Desde E411 sal. 25 Bertrix. Siga N89 hasta la sal. Bertrix. Tome N884 hasta el centro. Después, siga las señales. 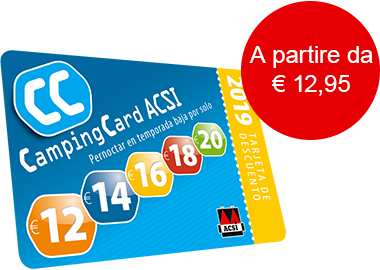 ACSI Eurocampings reenvía su solicitud de información al "Ardennen Camping Bertrix".